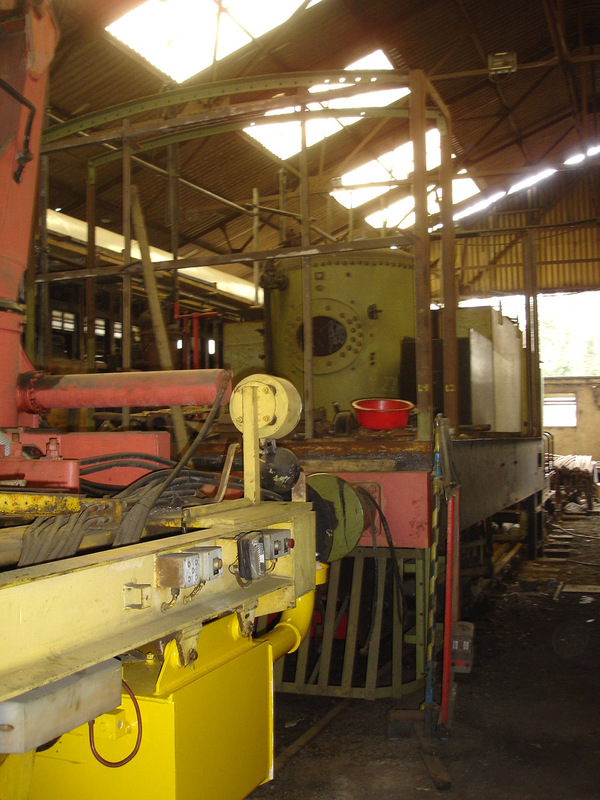 The steam tram engine, No.1626, is one of several discovered at Vilvoorde, Brussels in 1987. It was brought to Wansford specifically to be rebuilt as a replica of a GER G15/LNER Y6. 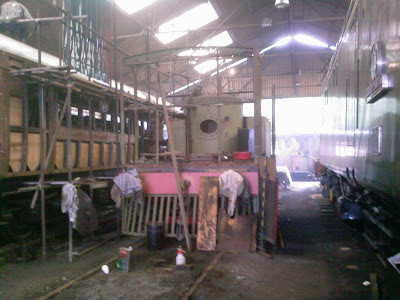 Sadly the two members who brought it to Wansford passed away before they could see the project completed. 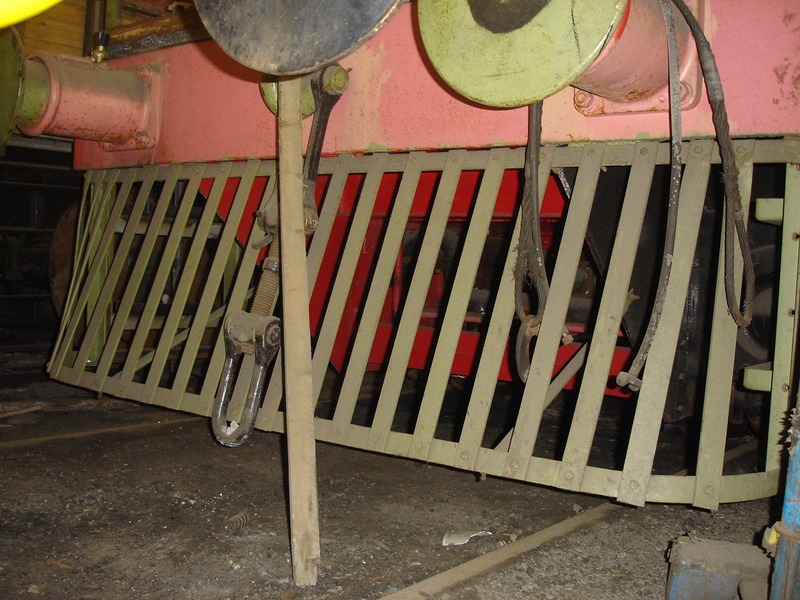 One of the distinctive cowcatchers completed. According to Nene Steam Issue 83 (Autumn 2006) the mechanical parts are all overhauled. It also appears to have had larger frames fitted, a start made on the bodywork structure, and one of the tell-tale front cowcatchers installed. 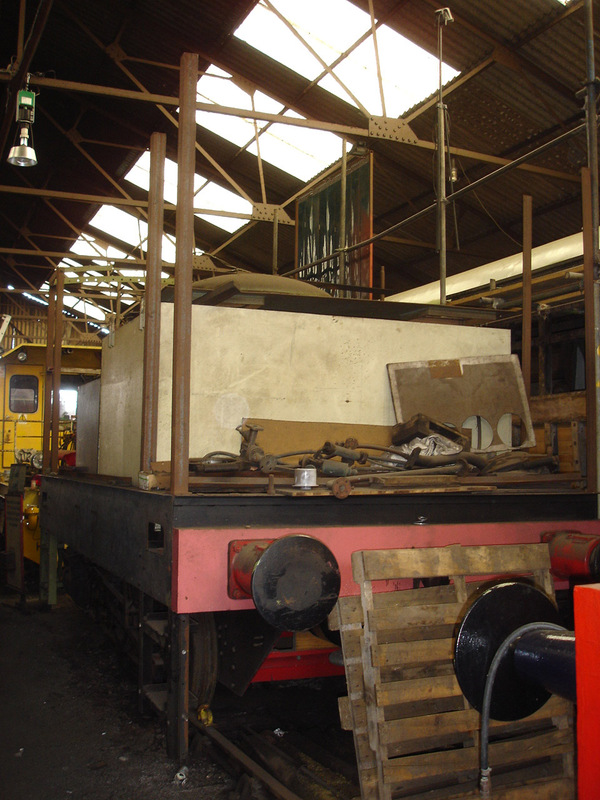 The last update I have seen was in Nene Steam Issue 94 (Summer 2009) which states that the tram is now a rolling chassis, with a four figure sum required for work on the body and boiler (boiler work estimated at around £4,000 - £5,000, according to 2007 edition of NVR stock book). Unfortunately the project has stalled for the want of this money. State of play, June 2010 when the TASC machine was temporarily moved from the shed opening up a better view of the Y6. Working on it - honest! Wansford river bridge - open again! 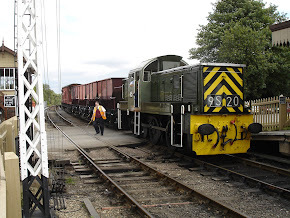 This is a personal, unofficial blog about the Nene Valley Railway. 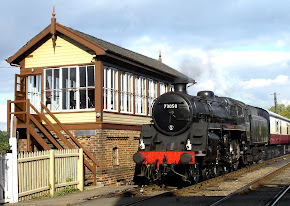 These pages are independent of, and are not officially supported by, the Nene Valley Railway plc or any of the affiliated organisations, unless specifically mentioned on the appropriate page. All information is believed correct but this web site, or the Nene Valley Railway plc or any of the affiliated organisations, cannot be held responsible for any errors. All photographs, drawings, diagrams and text are copyright of the respective photographers, artists and authors.